WELCOME HOME! 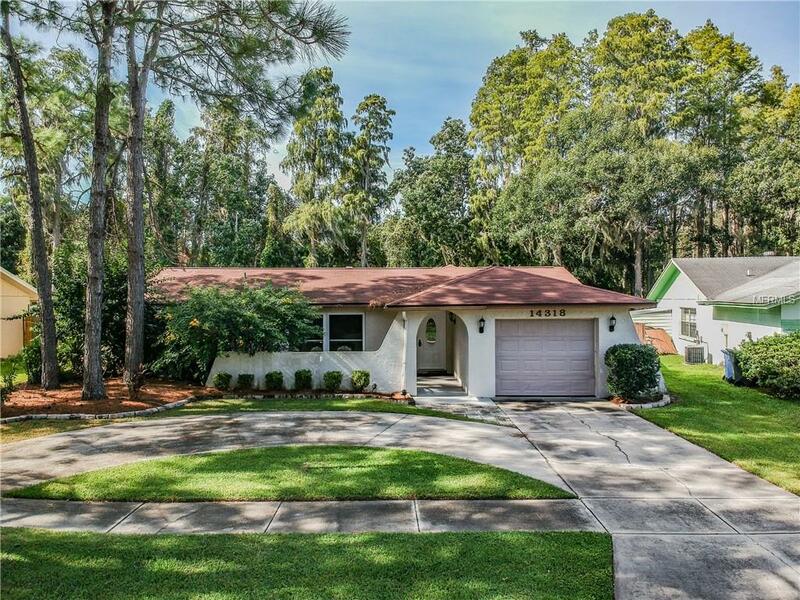 This masterfully appointed, updated, and meticulously maintained ranch style home with 3 bedrooms, 2 full bathrooms and 1 car garage on Conservation Lot in centrally located in Carrollwood Meadows. Seller has elegantly updated this home and is a pleasure to show. All windows and one of the slider doors are hurricane glass. The Kitchen has been updated with beautiful new off white cabinets, built in pantry, butcher block counters and mosaic tile back splash. New AC & duct work installed in 2014/2015 with built in dehumidifier & Air Knight System. More newer updates to include garage door & opener, Front Door, Kitchen appliances, water softener, interior paint for walls & ceiling, and Circular Driveway. There is a large screened lanai for outdoor entertaining overlooking the pool with a spectacular view of the private conservation. Community offers a beautiful park with basketball courts and picnic tables. Close to all interstate,airport and centrally located to all of the Tampa Bay Airport. Main hub for shopping, restaurants, and beaches.